Join the thousands of businesses that are taking control of their energy usage with a FREE Smart Meter from Dual Energy. Our Smart Meters make it easy for you to monitor the electricity you are using and when, helping you to highlight ways to save energy and reduce your costs. 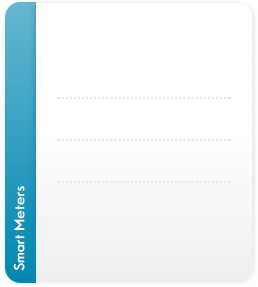 Installing a Smart Meter in your business doesn't just mean smarter billing. It gives you better control of your electricity usage by allowing you to see where and when you're using the most. This valuable data can help you make decisions about the amount of energy you use. How will a Smart Meter benefit my business? Our Smart Meters provide regular readings that enable us to get an accurate understanding of how you use your electricity. We use the readings to ensure your monthly Budget Plan remains in line with your actual usage. If you are paying too much or too little we will adjust it accordingly. When used in conjunction with our Web Analyser Service, a Smart Meter provides you with a detailed breakdown of your energy consumption. Monitor valuable usage data at up to half hour intervals on a daily or monthly basis to identify ways to save energy.